Our glass company is full service window glass replacement company and our glaziers perform all installations at residential and commercial buildings through Ahwatukee, AZ. As a glass contractor, you can rest assured we are licensed, bonded and insured and all of our services are backed by a written warranty. 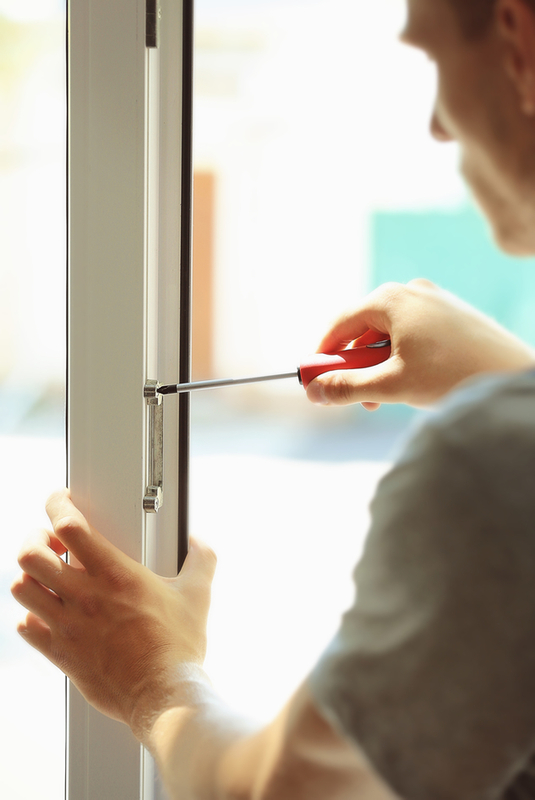 Cracking or Inoperable Windows – Frames that are hard to open may be blocked by rust, chips of wood, or hardened paint. This can be fixed by sanding, scraping hardened paint and cleaning tracks. If you have historic windows that may have toxic lead paint, please hire professional window restoration services for your safety. Broken Panes – There’s no need to replace the entire window if the frame is still intact and only the single or dual pane glass is broken. If the window is a dual pane or even triple pane, the entire glass unit will need to be replaced. This involves removing shards of glass and scraping away the putty the seals the original glass. You can opt in replacing the broken glass with energy efficient replacement glass. Chips and Cracks – Golf balls, rocks and a stray BB are common occurrences for star shaped chips in exterior window glass. Household glass can also suffer from accidental impacts, leading to cracking. Because dual pane glass units are sealed, replacement of chipped and cracked window glass is the only option. Broken or Bent Frame – If left broken and unsealed this damage can affect the heating and insulation of your home, especially during winter. If the damage is just minimal or in small patches, this can still be repaired. However, for entire frames, it might cost same as replacing the entire window. Foggy Streaks – Changes in temperature can affect the seals and may cause condensation between double glass panes. An easy repair can be done by refitting or replacing the sash. Sticking Rollers – The rollers on outside edges of the frame can wear or rust, leaving them inoperable. This is especially true with sliding glass doors where the load is heavier than normal. Failed Window Balances – Vertical sliding windows, also known as single or double hung windows can get stuck or are difficult to open. In most cases they need window balance replacement to function smoothly again. Reliable windows and quality glass are our main concern so we provide the best advice based on the type of glass and window issues. You’ll find our glaziers reliable, trustworthy and clean. Our window repair specialists will travel to your Awhatukee home or office to assess any damage and provide a clear course of action. We’ve seen it all and can recommend an affordable window repair or glass replacement that fits your budget. Every Awhatukee window repair job is inspected for proper seal and window function. Tub enclosures and glass shower doors are repaired and replaced by expert glaziers. These glass technicians go through extensive training to measure, cut and install decorative shower and tub glass. Some window repairs may involve glass replacement or complete window replacement including the frame. If this is the case, choose energy-efficient windows with dual pane window glass to upgrade your indoor insulation efficiency. Vinyl is a good and the least expensive option; the material does not need to be painted and can withstand changes in temperature. On the other hand, wood frames can be more expensive and needs maintenance. If you’re house or building is located within humid climate zones, aluminum windows are among the best and most practical choices, due to its durability. You can also upgrade on the type of window glass for better insulation. Low-emissivity (Low-e) glass is highly recommended for houses that are located within summer zones or have south facing windows. Emissivity is the ability of a material to radiate heat or energy. Low-E glass rating means heat from your home won’t escape easily out of the window. Your house can retain the heat inside especially during winter and this means you’ll lower your energy bills because the HVAC system isn’t overworked. All of the replacement windows provided by Superior Replacement Windows come standard with Low-e glass and bug screens. Double pane glass replacement is required when a window breaks or a seal fails. South facing windows can be exposed to direct summer sun and often need to be replaced after 10-15 years. Replacement glass with the latest Low-e technology can improve the reflectivity of UV rays and bounce back heat out of the house but retain natural light. This way, you can lower the cost of operating air conditioning and cooling systems. 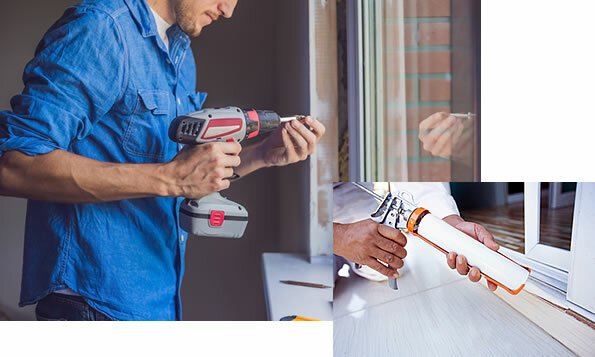 Superior Replacement Windows of Ahwatukee will help make critical decisions regarding both window glass replacement or full window replacement. If you are looking for window service in North Phoenix, we recommend SR Windows & Glass. Call today for a free consultation with one of our energy efficient experts.